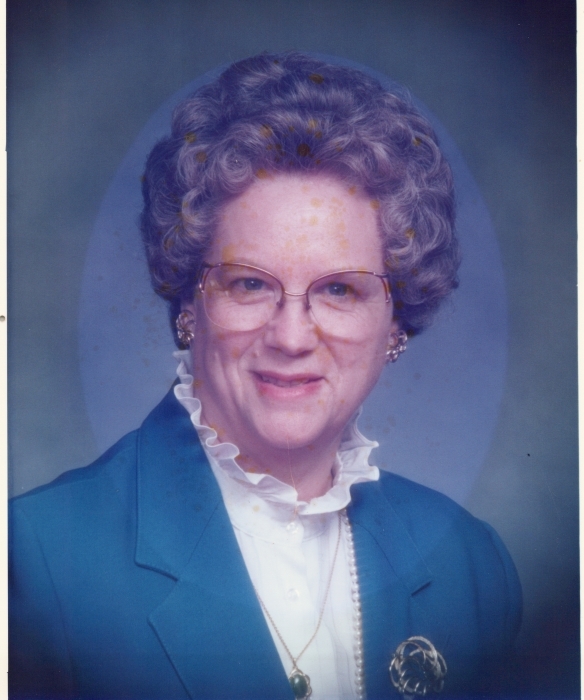 Ruth Ayers McCurry, age 91, of Johnson City, passed away Monday, March 18, 2019 at Governors Bend Retirement Home in Erwin, TN following a brief illness. A native of Esserville, VA, she was a daughter of the late Calvin Jerome and Agnes Ada Pierce Ayers. Mrs. McCurry was a member of First Freewill Baptist Church of Johnson City. She was a homemaker and after raising her children, Mrs. McCurry became a teacher’s aide at Tri-Cities Christian School in Johnson City. In addition to her parents, Mrs. McCurry was preceded in death by her husband, Jay McCurry in 2009; son, Danny McCurry; two sisters, Virginia King and Jerri Kilekas; three brothers, Junior Ayers, Ralph Ayers, and Kelly Ayers. Survivors include a brother, James Ayers; two daughters, Jawina Fagan, Johnson City, Gail Hicks and husband Bill, of Johnson City; two sons, Terry McCurry, Unicoi, Gary McCurry and wife Cindy of Jonesborough, TN; daughter-in-law, Kim McCurry, Elizabethton Eleven Grandchildren; Thirteen Great Grandchildren; and Seven Great Great Grandchildren; and her special friend Evelyn Jackson. Several nieces and nephews also survive. The funeral service for Mrs. McCurry will be conducted at 7:00 P.M. Friday, March 22, 2019 in the East Chapel of Appalachian Funeral Home with Rev. Tony Trott officiating. The family will receive friends Friday from 5:00 until 7:00 P.M. in the East Parlor of the funeral home. The graveside service and interment will be conducted at 12:30 P.M. Saturday from Monte Vista Memorial Park. Those who wish to attend the graveside service are invited to meet at the funeral home at 12:00 P.M. Saturday to follow the family to the cemetery. The family would like to extend a special thank you to Governors Bend and Amedisys Hospice for their wonderful compassionate care. In lieu of flowers, Memorial contributions may be sent to First Freewill Baptist Church, 302 Colorado Street, Johnson City, TN 37601, or Welch College, 1045 Bison Trail, Gallatin, Tennessee, 37066.